Opened in summer 2013 among the many small bars and eateries in Yotsuya's Arakicho, this small yakitori place has attracted quite a following in the past few months. 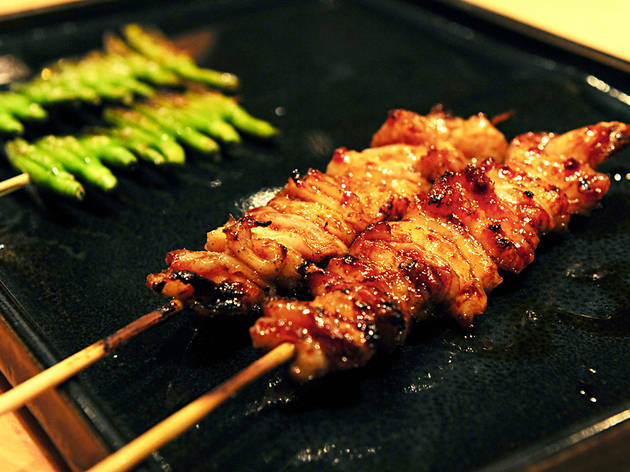 Full courses are recommended, particularly the impressive 10-course 'Yakitori menu' (¥5,000). 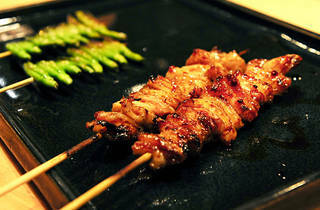 The 'tasting course' (¥2,000) is great for first-timers, and features an impressive variety of juicy skewers. Wine-drinkers might want to combine a crisp white with the liver pâté (¥700), another silky smooth creation.